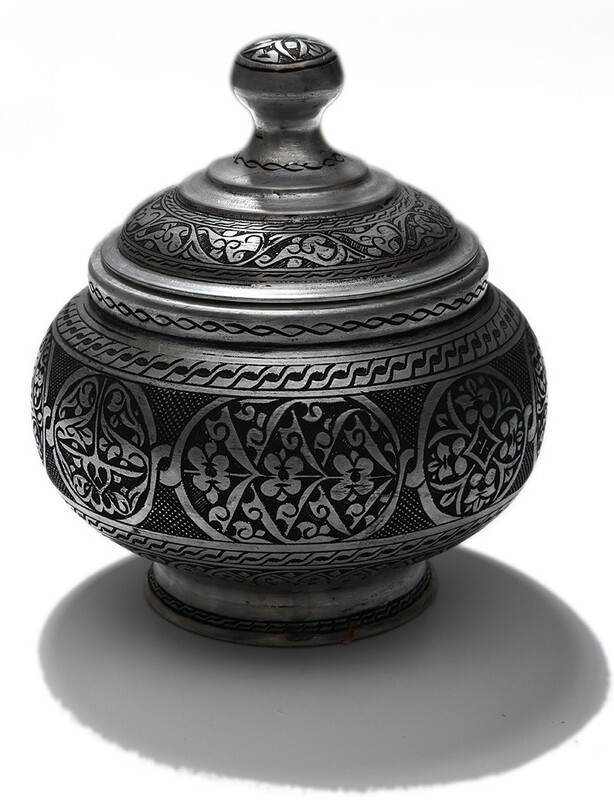 The copper sugar bowl was designed and hand made by the master from Mardin, Ebu Burak (Tacettin Toparlı), by using the Seljuk, Ottoman and Hittite ornaments. 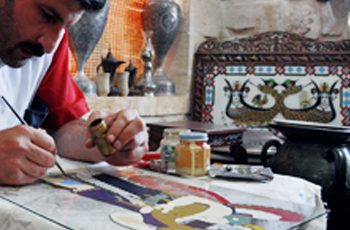 After the copper is annealed, it was given shape on a steel anvil by the help of a wooden mallet, and the ornaments were made by means of hammer and diamond pointed pen. 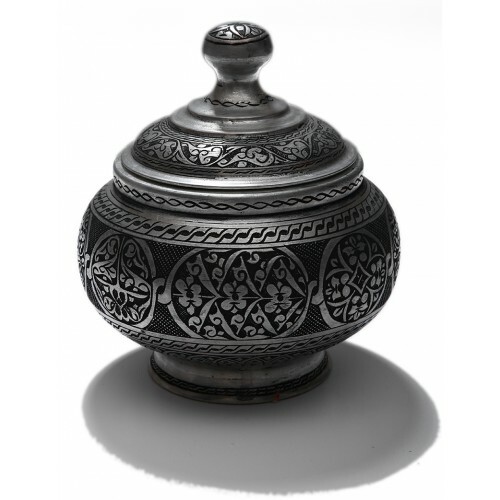 The sugar bowl was tin-coated by Hacı Davut.